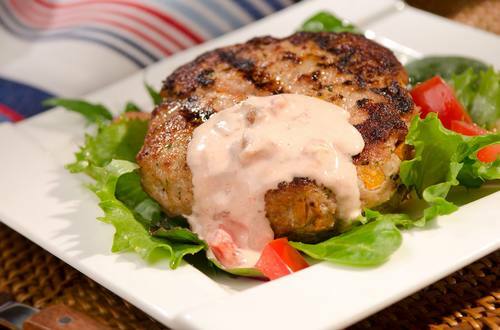 Learn how you can make turkey burgers that no one could say no to. 1 Combine all ingredients in medium bowl; shape into 6 burgers. Grill or broil until done. Serve, if desired, on hamburger buns with your favorite toppings. Try serving burgers topped with Creamy Salsa. Simply combine ½ cup Hellmann’s® Real Mayonnaise with ½ cup chunky salsa.